Crystal structures of wild-type AdiC in the presence and absence of the substrate agmatine at 2.6-Å and 2.2-Å resolution. 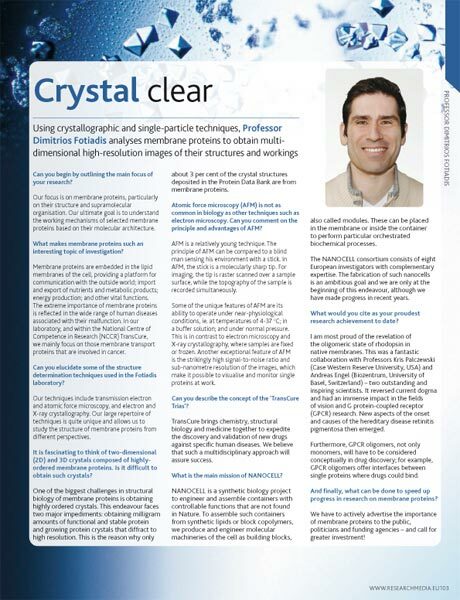 Want to learn about the Fotiadis Lab and its research ? Please see our publication in International Innovation (2013). We investigate the structure and supramolecular organization of membrane proteins using high-resolution microscopy techniques, i.e. transmission electron microscopy (TEM) and atomic force microscopy (AFM), and X-ray crystallography. Schematic representation of our working strategies, see Meury et al. (2011), Biol. Chem. 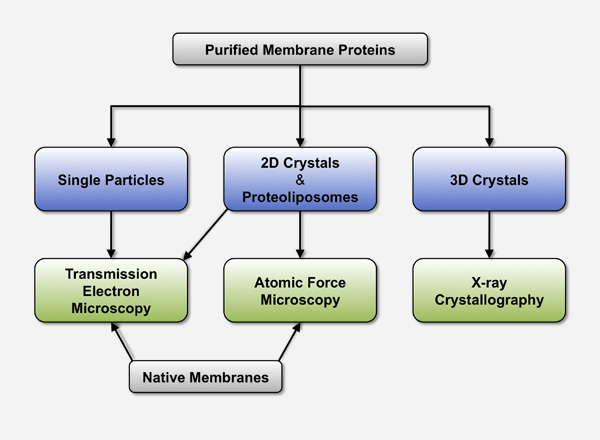 Single particle analysis is used to determine the structure and oligomeric state of detergent-solubilized membrane proteins from projection images obtained by TEM. Electron crystallography of 2D membrane protein crystals is applied to reveal the projection and 3D structure of membrane proteins embedded in the lipid membrane. To determine the topography and dynamics of membrane proteins, proteoliposomes and 2D crystals are imaged by AFM. In 2006 we also started expanding to 3D crystallization and X-ray crystallography of membrane proteins. Our mission is to assess the structure and supramolecular organization of membrane proteins in the detergent-solubilized state and in their native environment, the lipid bilayer. 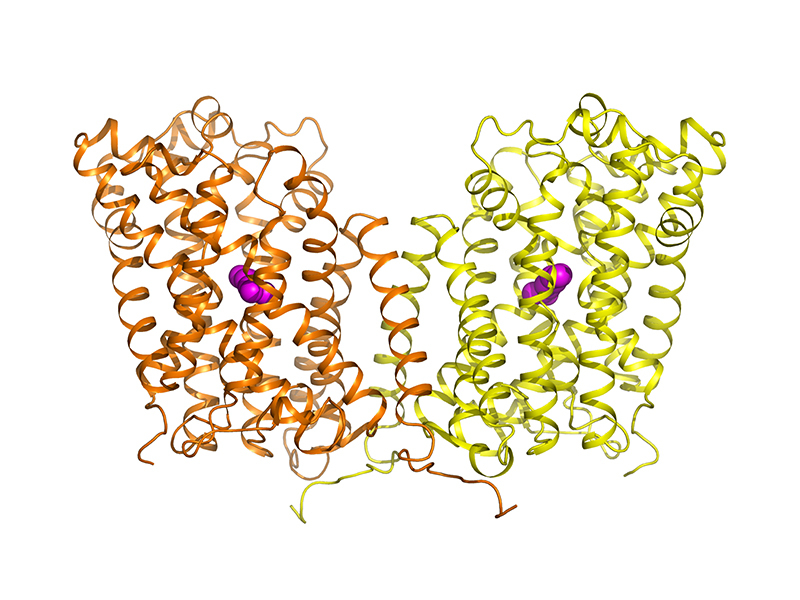 Our target membrane proteins consist mainly of membrane transport proteins and receptors. Greetings to our collaborators in Basel ! The SNSF has granted a Sinergia Project to Dimitrios Fotiadis (UniBE) together with the laboratories of Philippe Plattet (UniBE) and Rainer Riedl (ZHAW) entitled “Morbillivirus cell entry machinery: mechanisms, structures and drug discovery”. Greetings to our collaborators in NYC ! Hüseyin Ilgü from the FotiadisLab and NCCR TransCure receives the Dr. Lutz Zwillenberg-Prize for his excellent Ph.D. thesis at the Dies Academicus 2017 of the University of Bern. CONGRATULATIONS !